July is Cord Blood Awareness month. We’re going to talk a lot about cord blood and how it could help you and your family. The first thing we have to discuss is when you have to start planning to collect cord blood. You can’t wait until the baby is born – cord blood collection has to be planned weeks, if not months, in advance. There is a lot of equipment that is sent to you from the cord blood bank and it has to be gathered (and read the instructions, because it is by no means idiot-proof) and coordinated between the family and the doctor. Starting in the early to mid-pregnancy is recommended if you think you will want to collect the cord blood. The cord in cord blood refers to the umbilical cord (Dad, that’s the thing you cut in the delivery room). The umbilical cord what feeds the baby in utero, bring food, oxygen and nutrients to the baby. The umbilical cord consists of a large vein and two smaller arteries. The arteries bring food and blood to the baby and the vein takes waste away from the developing baby. “Good” cord blood is found in the vein, because the developing baby has all the important tissues and cells inside, which are released in the blood moving back to the mother. After the baby is born, the cord is clamped and cut and before the placenta (the bundle of tissues that held the baby in utero) is delivered, a needle is stuck into the vein of the umbilical cord. You have to go fast! After a baby is born, there are literally only seconds to minutes before the blood clots and once the blood clots, it’s worthless. Sometimes, if there’s not enough blood, the ob-gyn will deliver the placenta and squeeze in an attempt to extract blood from the placenta. The blood is then sent to the lab, where they look through the blood and attempt to extract stem cells. Stem Cells are what cord blood is all about. Stem cells are the cells in a baby/fetus that have the ability to turn into other cells. You can think of them as the “building blocks” of the human body. There are different types of stem cells (prepare yourself for some big medical words). Pluripotent stem cells are the cells you read about. They have the ability to turn into literally everything – brain tissue, heart tissue, blood, bone, skin – they can do anything. The stem cells that are harvested in cord blood are NOT those cells. In order to get pluripotent stem cells, you cannot wait until delivery. The only way to collect pluripotent stem cells is from a much earlier stage of development. While it is politically debatable and causes a lot of argument, the primary way we get “fresh” pluripotent stem cells is from terminated pregnancies, where the cells are barely recognizable as a fetus. The stem cells collected from cord blood are called hematopoietic stem cells, and can only turn into blood or blood-based cells. A newborn baby has a lot of potential. He could be a doctor, lawyer, engineer or even President of the United States. So he goes to school, gets good grades, goes to college and eventually medical school. When that child is done with medical school, they still have a lot of potential, but they probably won’t be a lawyer anymore. Why? Because once you’ve gone through all the effort and expense of medical school, going back and starting over is probably unrealistic. So you still have a lot of potential, but you don’t have all the potential you did as a newborn baby. Hematopoietic cells can become just about any type of blood cell – white blood cell that fights infection, red blood cells that carry oxygen, even platelets that clot – but it cannot become a heart anymore. Research in other countries suggests that hematopoietic stem cells could be tweaked to become nerve cells. As a result, there is a lot of research investigating their application in Alzheimer’s, Parkinson’s, cerebral palsy, spinal cord Injury, stroke and muscular dystrophy. Scientists are also looking to see if they can help rebuild cartilage, and there is some very early research into the ability of stem cells to treat autism. Do you put your stem cells in a public bank or a private bank? People who want to treat hematopoietic cells as an insurance policy should choose private banks. This is a pricey insurance policy. Initial costs of private banking for them to send you their kit and store your are between $1000-2000 (and I’ve heard of places charging as much as 3800 initally) and then theirs a yearly fee for storage that can be as much as 100 year. You maintain ownership of these stem cells. If your child needs a stem cell transplant, or if a sibling needs a stem cell transplant, you have the stem cells available. What are the chances that you will need stem cells? If you listen to the banks, based on the disease that can be possibly treated, there could be a 1:27 chance that you could use your stem cells. Now I believe that is an overreach – they are counting disease treatments that are still investigational, including those where stem cells have never been successfully used in treatment. The Journal of Pediatric Hematology/Oncology published a study (1997, 19:3, 183-187), and found that there was a 1:2,700 chance that you would need their stem cells (and the American Academy of Pediatrics said that was an overreach, and the number was more like 1:200,000). Presently, for an average person in the US, the lifetime probabilities of receiving an Hematopoietic stem cell transplant are between 0.23% and 0.98%. According to the Institute of Medicine, there are only 14 cases ever of a child using stem cells after privately storing them. Do you even want to use your own stem cells? Follow my logic here – usually stem cell treatments are used to treat diseases like lymphomas and leukemia. These are diseases that have a genetic aspect. 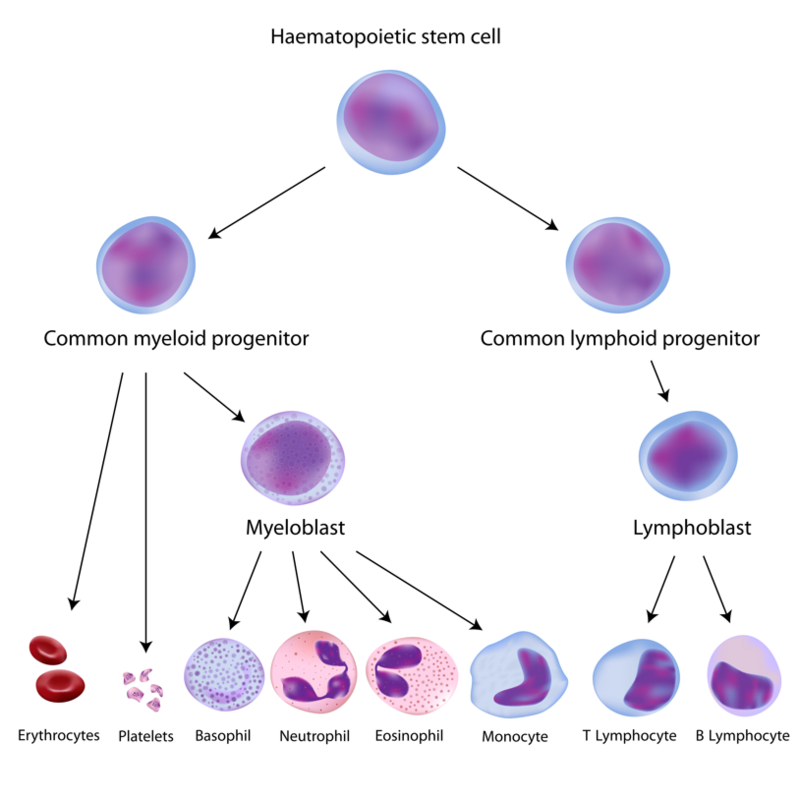 It may be that if you develop leukemia, you won’t want to use your own stem cells, cells that you know carry the genetic code for developing leukemia. Maybe using stem cells of someone that lived a long, healthy, disease free life, rather than using your own potentially damaged stem cells, will deliver a better result. That said, if you are sick with one of these diseases, using your own stem cells, which you are guaranteed not to reject in transfusion, is better than the alternative. These are all very difficult questions – do we do it privately, and accept the cost despite the low chance of needing it? Do we do public donation? Do we do it all (because when you’re about to have a baby, you have a lot of other things on you mind than if you ob-gyn is properly collecting the blood)? These are all complicated to discuss with your significant other and your doctor before making a final decision. How can ADO work for you? Keeping your personal health record online, secure and available can be valuable in keeping track of these issues. We can keeping track of family history, blood type and more, and if the need should arise for stems cells or other treatments you will have all those records available. If you receive a diagnosis of one of the diseases discuss, you can get a second medical opinion from our network of over 2000 specialist in as fast as 48 hours to help you make some of the decisions. If your doctor participates with Activ Doctors, you can discuss some of these questions without in a secure e-consultation, without having to walk into the office.